And what better way of celebrating than with a show about one of the most influential dictator’s wives to come out of the 5th biggest financial partner of the U.S. in the 1970’s (we learned a lot this night). 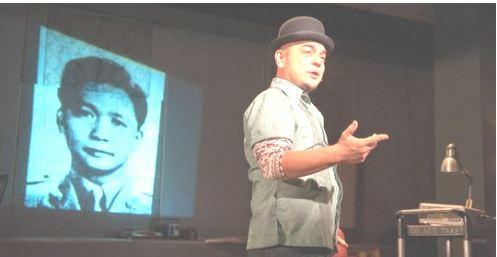 Using his own brand of storytelling (through the use of a gossip columnist-esque flare) and projections giving visual aids throughout the piece; Celdran tells the story of Imelda Marcos, first lady to Philippine President and later dictator, Ferdinand Marcos. Punctuated with dark humor and a random offering of candy thrown in to the audience, this show left me feeling good to see someone so proud of their own culture and sharing it with the rest of the world. The Kultura festival will be spanning over the 5 days of August 5th to the 9th with events, shows and activities celebrating the Philippines all over the city of Toronto. Be sure to check it out to expand your knowledge of the world around you.